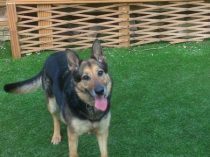 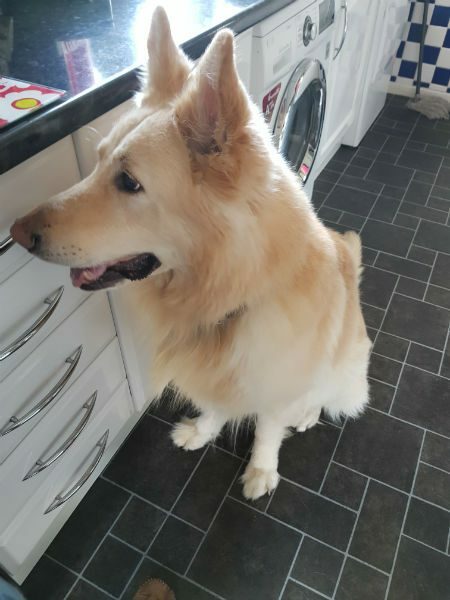 Meet Barney, he is 8yrs young, neutered, we are told his booster is due now and we are told he is chipped but no paperwork to hand. 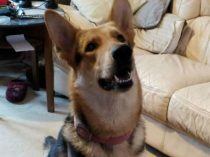 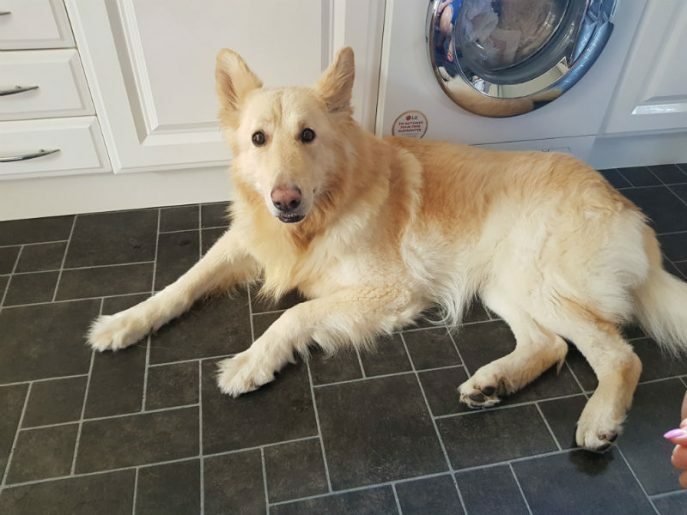 Our assessor found Barney to be a friendly lad on her arrival, she was told he is good with children , not good around other dogs and will bark and lunge, no to cats and livestock. 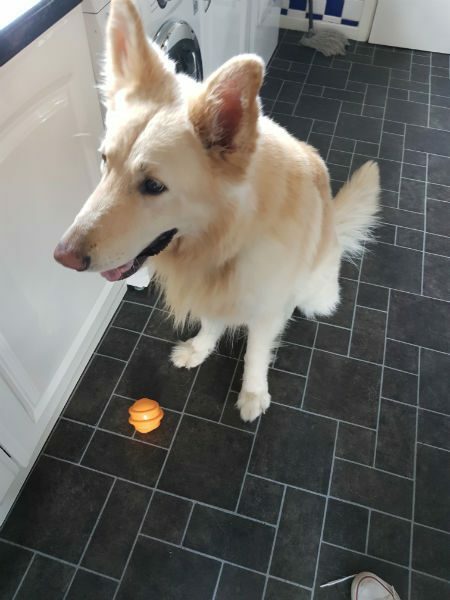 Barney suffers with EPI but copes well with the medication he is on, this will be ongoing for the rest of his life.At present owner gets these online costing her approx £40 a month. 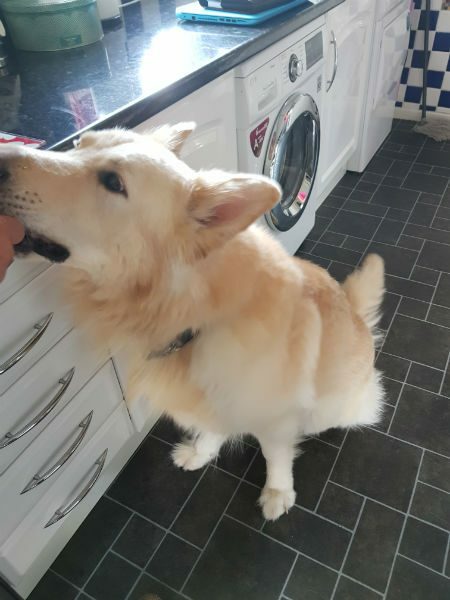 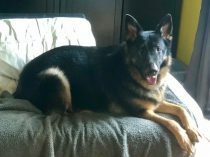 Barney is looking for a new home due to a marriage break – up, been in his present home since a pup. 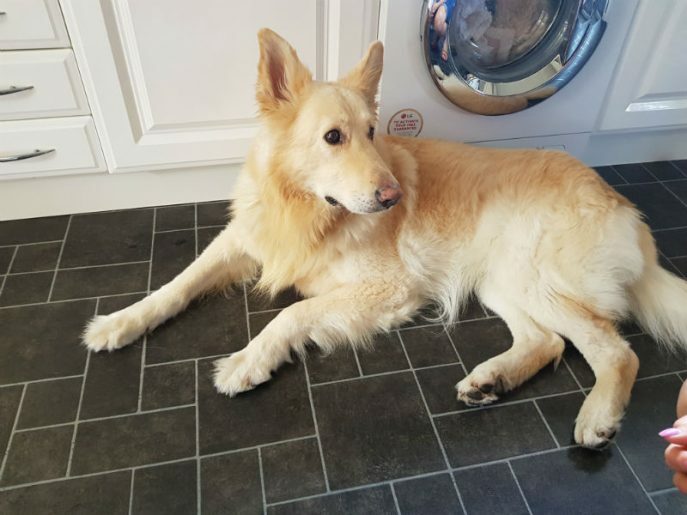 If you think you could offer Barney a place to live with you then please let us know. 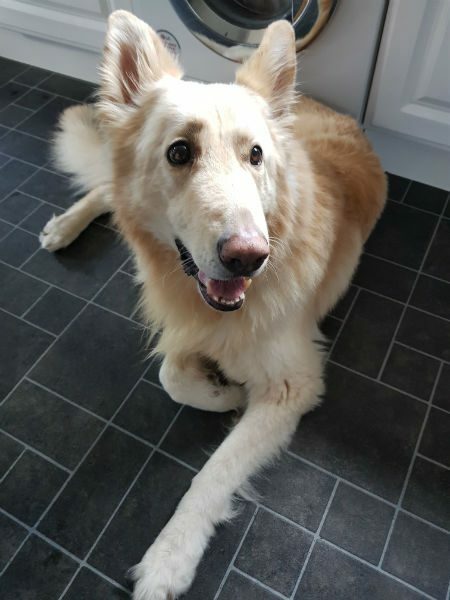 His owner sadly informed us that Barney died recently after having bloat.